production sites in Israel, Kenya, Guatemala & Colombia. Our world keeps getting smaller. 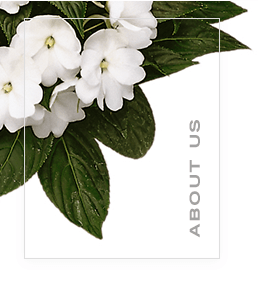 Danziger is a leader in innovative and imaginative floriculture solutions, offering high quality rooted cuttings of annuals, perennials and cut flowers. We have over 65 years of experience in breeding and production of a wide variety of perennials, annuals, bedding plants and cut flowers for farms, greenhouses, nurseries and large-scale customers. Our propagation sites are located on three continents, ensuring customers receive all materials in clean and optimal condition. From growers to retailers, Danziger is committed to driving the success of our partners across the entire value chain, through cutting-edge R&D, expert support, and creative branding and marketing campaigns. Offering high-quality varieties of cut flowers, perennials, annuals, bedding plants & more. Producing clean stock cuttings, mother plants & TC. Globally spread for maximum availability.